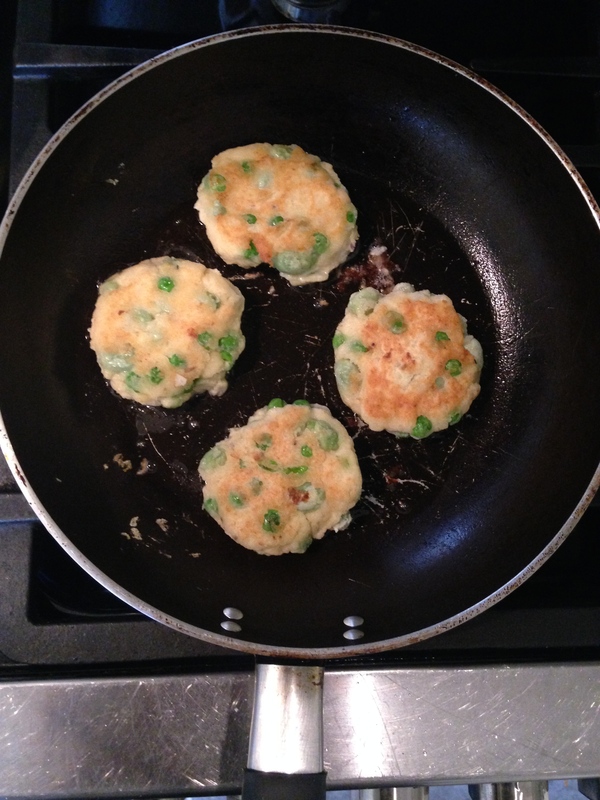 I love making fritters and potato cakes like this, they’re so easy and can be made with all types of beans and vegetables. So if you get a chance, play around with flavours and whatever you have in your cupboards, you might just create something really tasty! 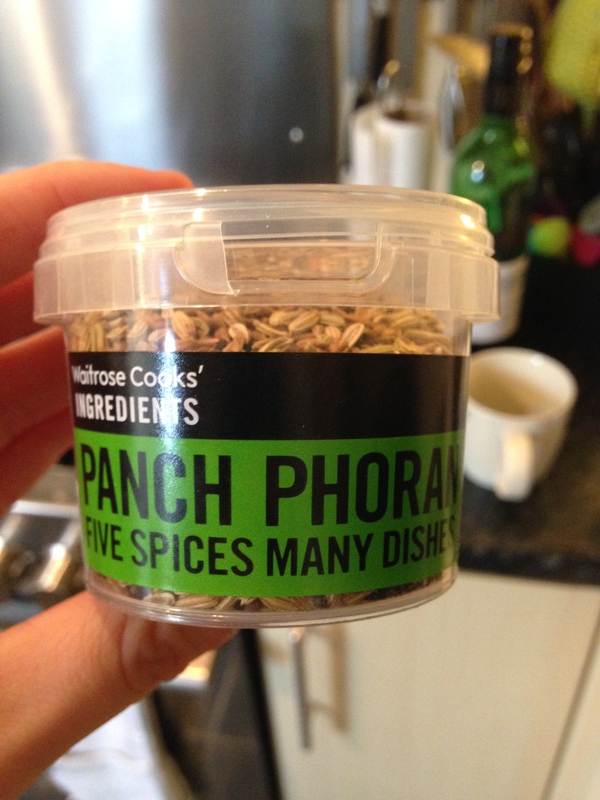 I’ve used a spice mix that I bought in Waitrose recently, it’s really mild and similar to the taste of nan bread, I’m really enjoying using it. If you can’t get access to this mix, then it’s broadly a mix of fennel seed and black mustard seeds. 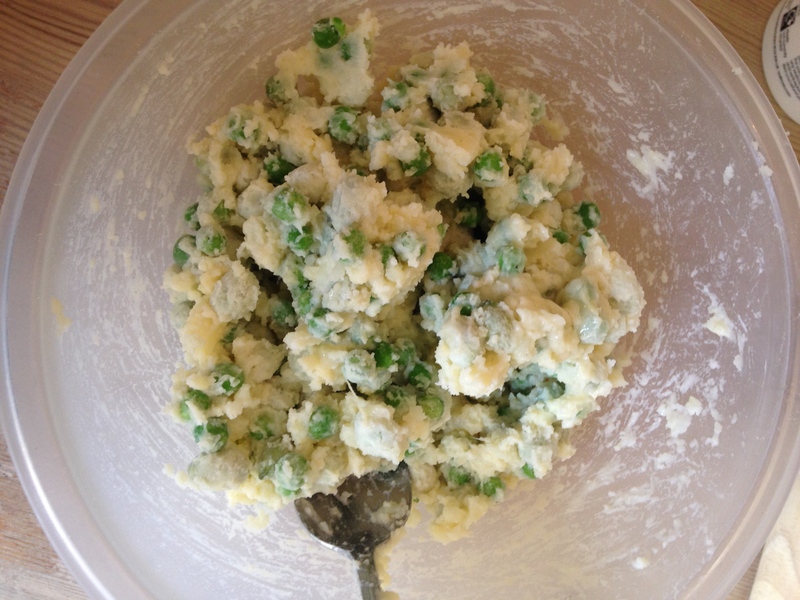 Put your potato, beans, peas, egg, spices and a pinch and salt and pepper into a bowl and mix well. Then add the flour and mix until a doughy texture that you are able to gently form into small balls. Cover your hands in flour and make walnut sized balls of mixture, then place onto a plate ready for frying. Now put the yoghurt into a bowl, squeeze in the lemon juice and add a little salt and mix. 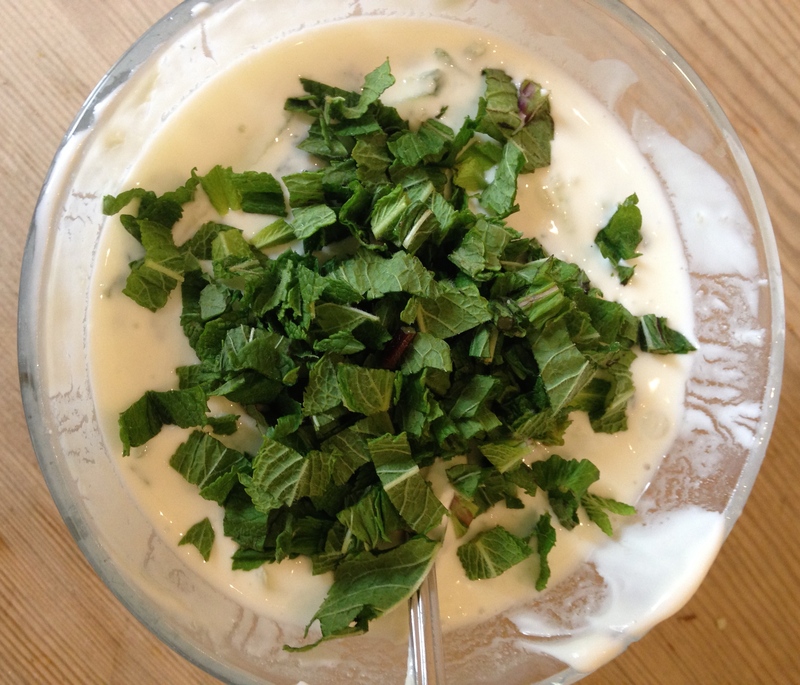 Grate the cucumber, squeeze out the excess liquid and add to the yoghurt. Roughly chop the mint and add to the bowl, stir until combined. Put a frying pan on a medium heat and add 1 tablespoon of oil. Once the oil is hot, add three to four balls and fry for a few minutes on each side. Once the cakes are done, they should be golden brown on both sides and cooked all the way through. 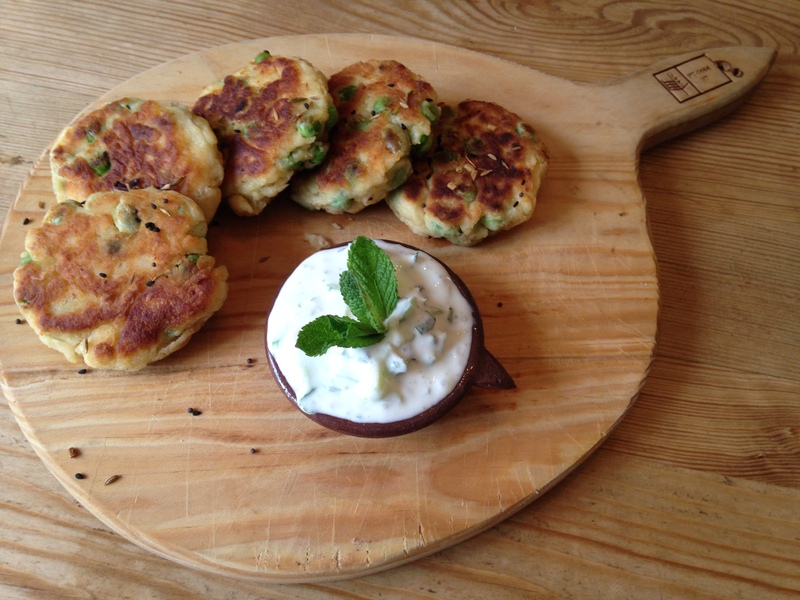 Serve with a little dish of the yoghurt and a sprinkling of the spice mix. You can find the spice mix I’ve used here! http://www.waitrose.com/shop/DisplayProductFlyout?productId=312287 . This dish is a really easy weekday meal that creates leftovers you can have throughout the week as part of a bigger meal or on their own. 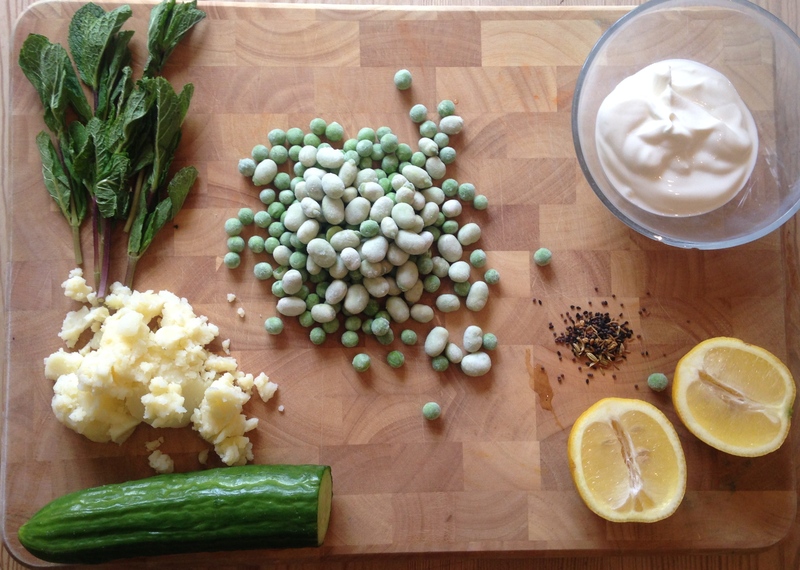 If you have any left over yoghurt, you could have it with cous cous dishes or falafel wraps! If you happen to try any of the recipes I post on my blog, please feel free to tweet them to me at @beankitchenblog or use #beankitchenblog on instagram!